Dexin DMN-350 is Polyether Polyol based on glycerin with a 480 molecular weight. Its appearance is colorless transparent viscous liquid. 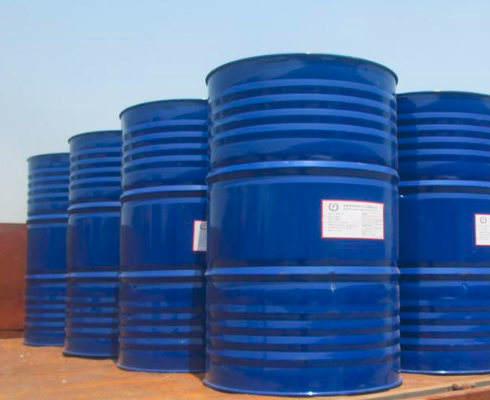 This polyol is used for coatings, adhesives, sealants and elastomers. And it is especially used for the Rigid Foam crosslink agent. Polyether polyol DMN-350 has a very low odor of acute toxocity and is neither irritting nor sensitizing to the skin, does not present a significant health hazard to users. Normal care should be taken to avoid unnecessary contacts, splashes in the eyes or accidental ingestion. Looking for ideal Polyols for Waterproof Coatings Products Manufacturer & supplier ? We have a wide selection at great prices to help you get creative. All the Polyols for Coatings Products are quality guaranteed. We are China Origin Factory of Polyether Polyol for C.A.S.E. Producing. If you have any question, please feel free to contact us.